Dave grew up in Western Pennsylvania and spent most of his early childhood and adult life in and out of hockey rinks around the world; playing in cities such as Ottawa, Cleveland, Pittsburgh, Kalamazoo, and Grand Rapids. His love and skill for hockey lead into a professional career in Europe playing in many countries including Luxemburg, Russia, Slovakia, Switzerland and finally Germany. For over 13 years, Dave has worked NHL, NFL, Track and Field, and Crossfit athletes with their mental preparation, and hundreds of organizational leaders and executives around the world. Dave’s personal vision is to unify excellence in the marketplace. He has founded 4 thriving companies in the Raleigh North Carolina community. Dave Jones has B.S in Management Studies from the University of Maryland. European Division. He has a Masters Degree in Counseling Sports Psychology and is pursuing his Doctorate in Psychology with an emphasis in Sports Psychology. Along with his executive duties at M is Good, Dave is a sports consultant who coaches CEOs, executives, professional athletes to help achieve their vision, by executing and developing mental skills training, and enhancing thought blocking techniques. He works with organization leaders on their strategy, execution, and communication, and managing the gaps between employees and management. As a thought leader and highly motivated individual, Dave engages executive teams by consulting on analytics, oversight of talent initiatives, and one-on-one coaching. He helps leaders improve the effectiveness of their organizations, by utilizing practices such as strategic planning, mental skills training, organizational assessment, and team interventions. Dave also served 4 years in the United States Air Force. Dave and his wife Laura currently reside in Raleigh, NC and together, and have two young boys. 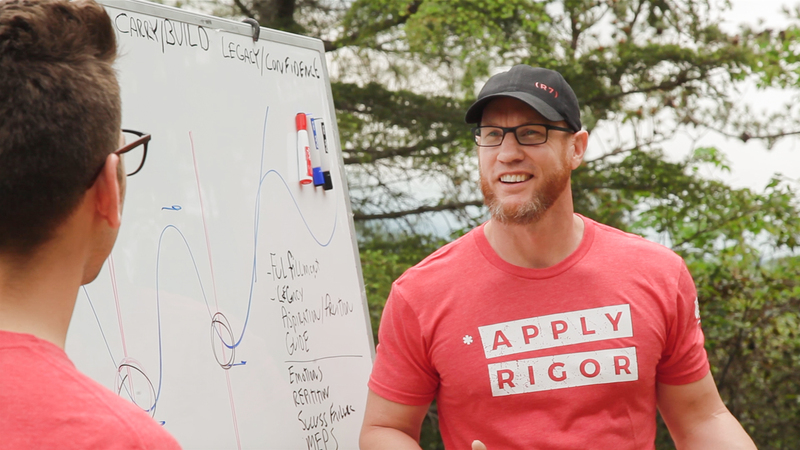 We’ll help walk you through the Apply Rigor Matrix, applying it to your life and your vision, through our (R7) Process.